Kevin has extensive experience representing individual and corporate clients in all aspects of estate planning and administration. His experience ranges from small to multi-million dollar estates in both national and international venues. He routinely drafts complex estate plans and all documents relating to the administration of estates including the preparation of federal and state gift and estate tax returns and fiduciary income tax returns. His practice includes defending those returns on audit. Kevin is proficient in handling federal and multi-state gift, estate and generation-skipping transfer taxes. He is skilled in conducting litigation matters including objections to accountings, construction proceedings and contested probates. Kevin has served as an expert witness in intricate trusts and estates and tax litigation. While Kevin represents major banks in complicated trust and fiduciary matters, he is also attentive to the needs of his individual clients. He counsels families in estate planning, long term asset protection, retirement planning, charitable giving, tax, Medicaid and related elder law matters. Kevin was the recipient of the prestigious Westchester Business Council Forty Under Forty award. This award recognizes individuals who are leaders in their field. Kevin served as an assistant adjunct professor at New York University’s Center for Finance, Law and Taxation where he taught Federal Income Taxation of Trusts and Estates. As a frequent guest speaker on a wide array of trusts and estates and elder law topics, Kevin has lectured at major financial institutions, senior living facilities and to students at colleges and various law schools. He frequently participates as a panelist and featured lecturer for numerous continuing legal education seminars sponsored by the New York State Bar Association and other organizations. Kevin was the co-chair of the Trusts and Estates Section of the Westchester County Bar Association and served as the 9th judicial district representative to the New York State Bar Association’s Trusts and Estates Section. He has been recognized in the Metro area Super Lawyers in the Trusts & Estates category and has also been named a Five Star Professional Wealth Manager Award Winning Trusts and Estates attorney. Kevin started his career as a tax consultant for a Big Six accounting firm. Thereafter, he joined the trusts and estates department of a major Wall Street law firm as an associate. 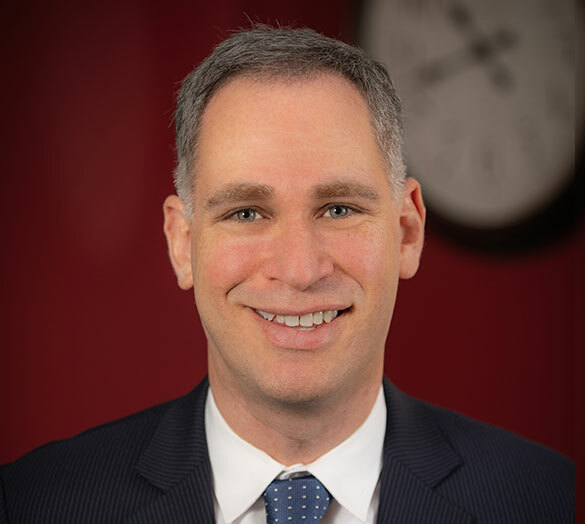 Prior to starting the Law Offices of Kevin H. Cohen, P.C., in 2003, Kevin headed the trusts and estates department of a prominent Westchester law firm where he also concentrated in the practice of elder law.